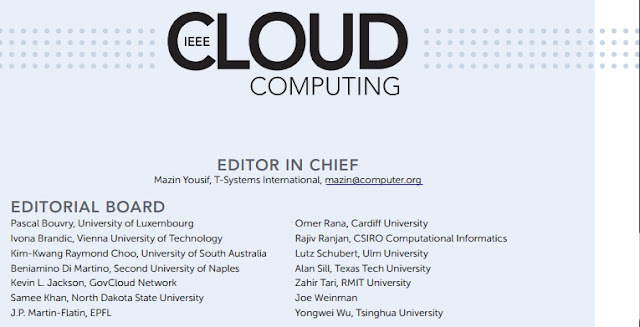 Today I am especially proud and honored to publicly announce my appointment to the IEEE Cloud Computing Magazine Editorial Board! I am truly appreciative to Dr. Alan Sill and Dr. Masin Yousif for their trust and confidence in nominating me to this position. As the world's largest professional association for the advancement of technology, IEEE has always been a part of my professional career. Their mission, Advancing Technology for Humanity, also aligns with my own personal aspirations and goal of helping global governments better realize the promise of cloud computing. Topics relating to novel theory, algorithms, performance analyses and applications of techniques are covered. 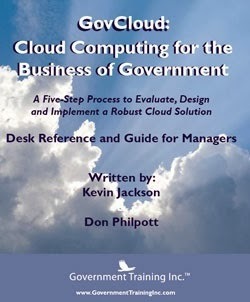 Cloud governance (transparency of processes, legal frameworks, and consumer monitoring and reporting). Reviewing and recommending submitted articles for publication. Ms. Marilyn Moux, a seasoned professional with experience in software/system development life cycle in a variety of industries including Information Technology, Health Care, Federal/State/Local Governments, Financial, Mortgage Banking, Telecommunications, and Aerospace. Mr. Bob Gourley, publisher of CTOvision.com and ThreatBrief.com and a co-founder and partner of Cognitio. Dr. Michaela Iorga the senior security technical lead for cloud computing at the National Institute of Standards and Technology‘s computer security division. 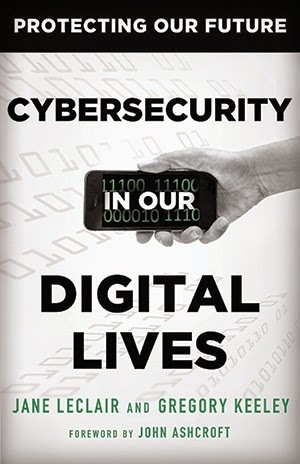 She also serves as co-chair of the agency’s Cloud Computing Forensic Science Working Group and Cloud Computing Security Working Group. 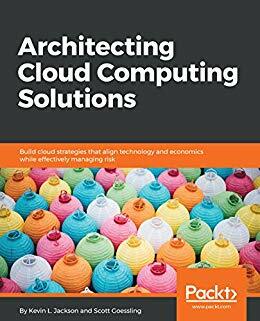 Mr. Melvin Greer, a Senior Fellow and Chief Strategist at Lockheed Martin and a recognized expert in Service Oriented Architecture, Cloud Computing and Predictive Analytics. Please reach out to me or any board members directly if you have any specific topics you would like addressed or if you would like to contribute an article to the magazine. 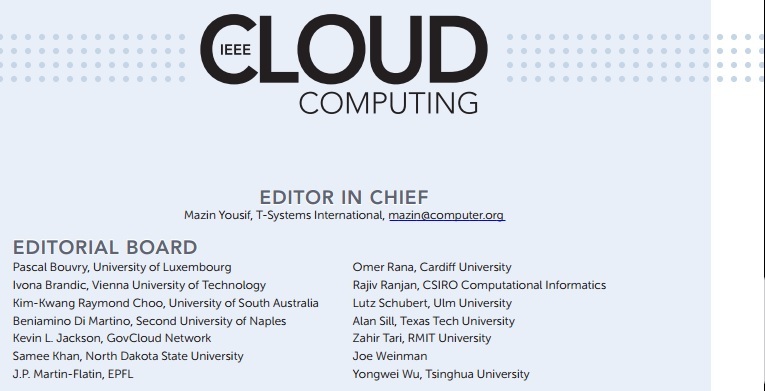 I also invite you to support IEEE Cloud Computing by subscribing to the magazine. 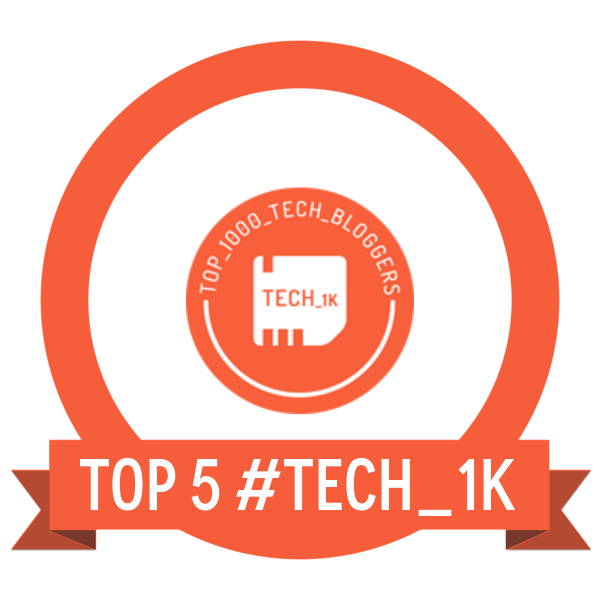 Going forward I will feature the most recent edition at the top of the side panel on this blog. The landing page will provide access to the table of contents with instructions on how to subscribe. Periodically we will also provide free access to selected articles via social media. I look forward to serving you from this exciting perspective and can't wait to hear your recommendations and suggestions.